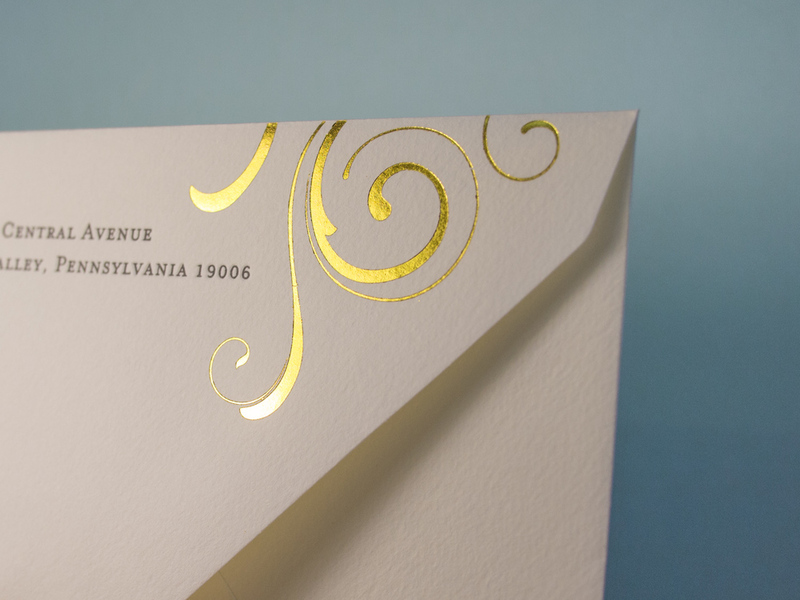 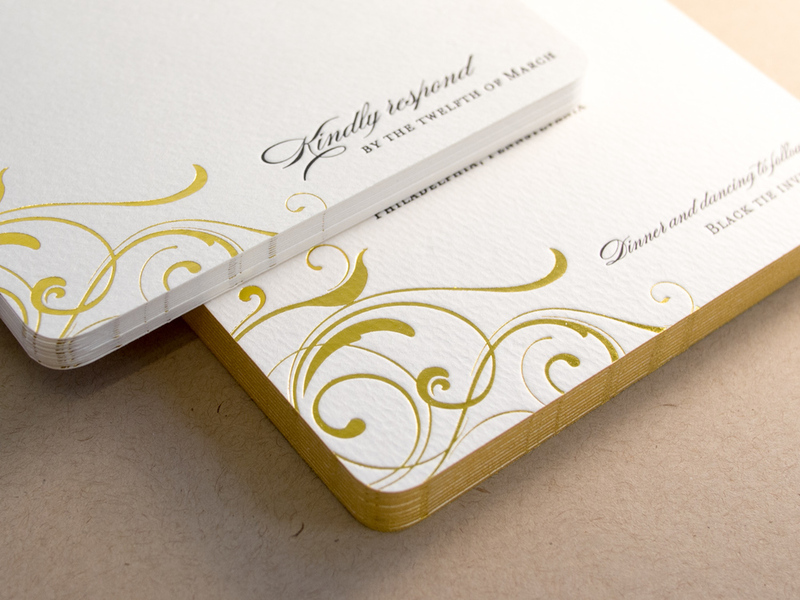 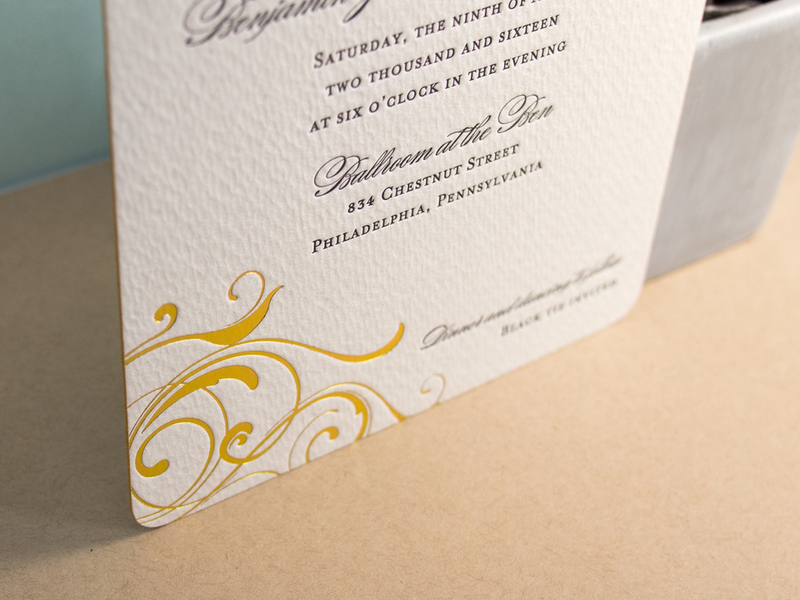 We've printed all sorts of variations on our Bookplate invitation design since we introduced it in 2011. 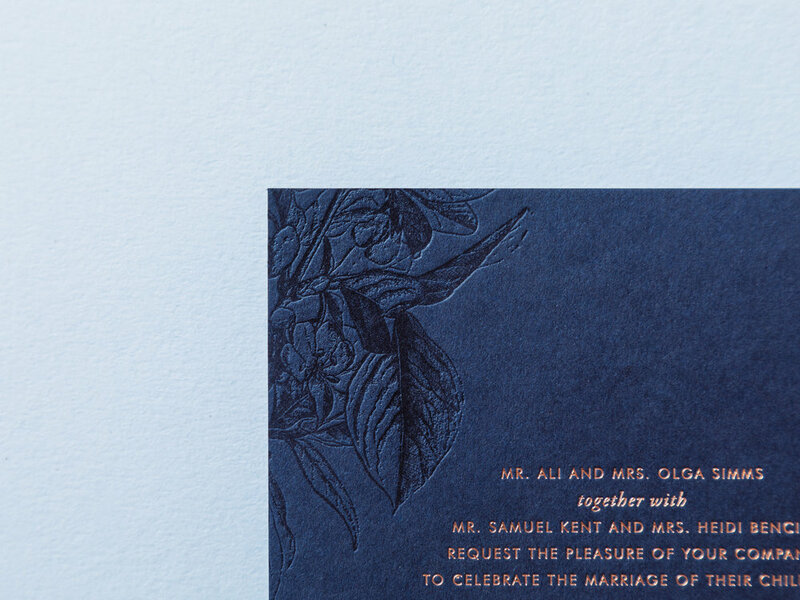 This may be the starkest, simplest version — with Black ink on Pearl White paper. 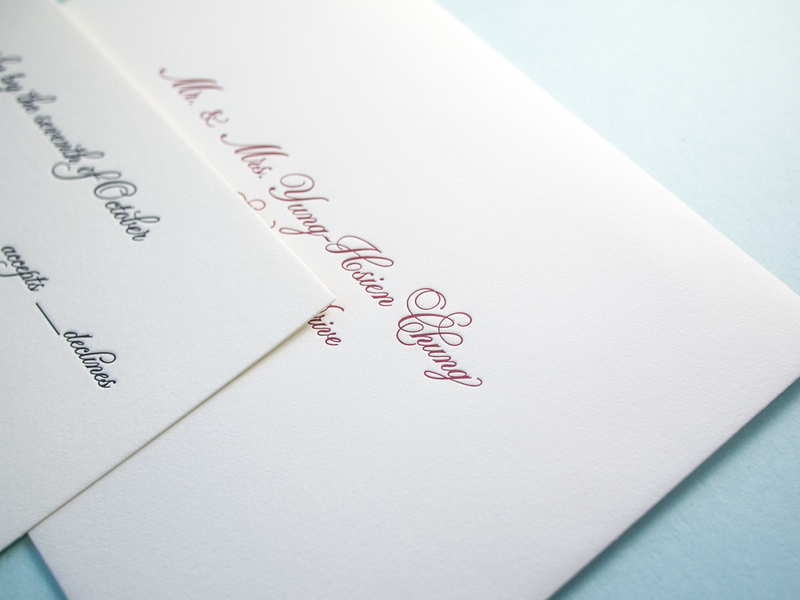 Jennifer & Haley gave us their own logo/monogram to add to the reply card and envelopes. 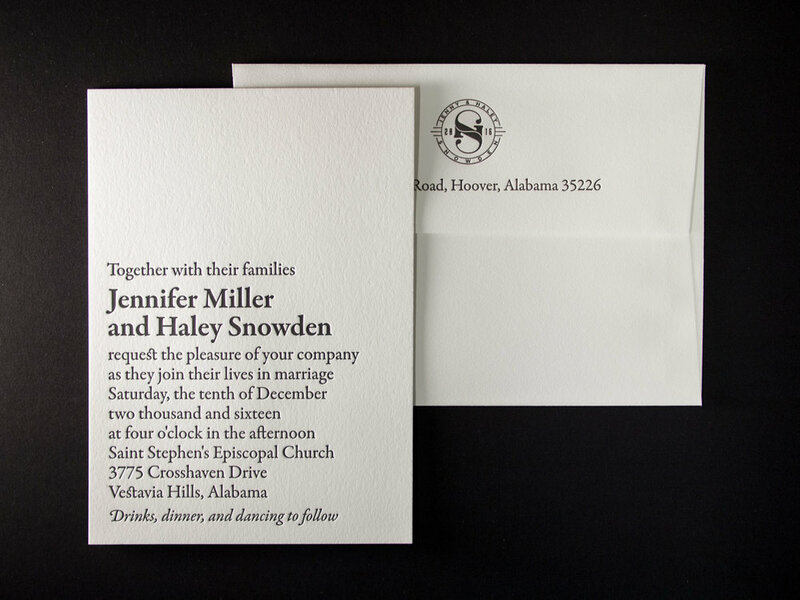 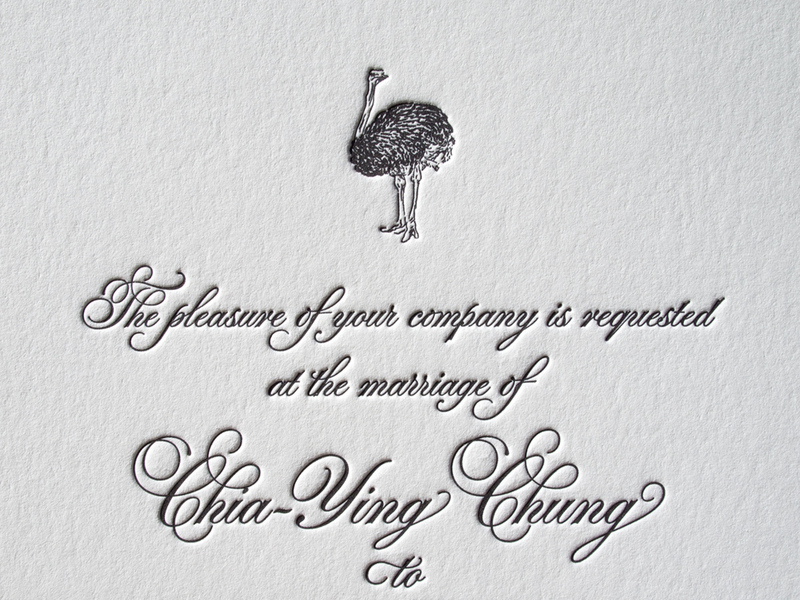 Posted in wedding invitations and tagged with black, white, pearl white, bookplate, reply card, monogram, logo, 300g. 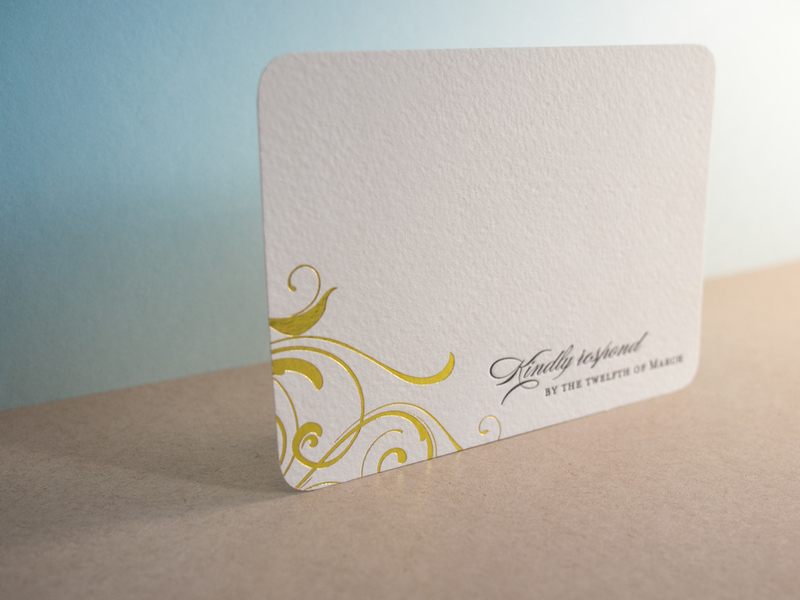 April 4, 2017 by Travis Friedrich. 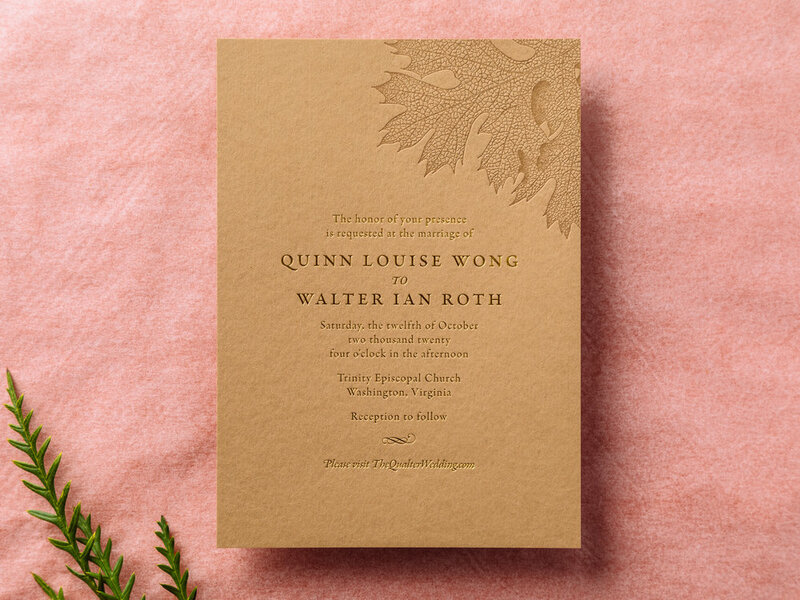 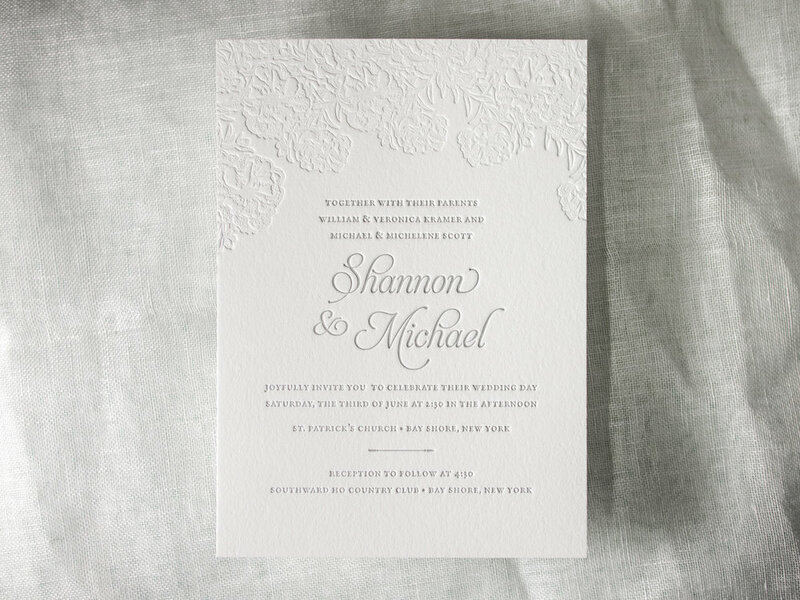 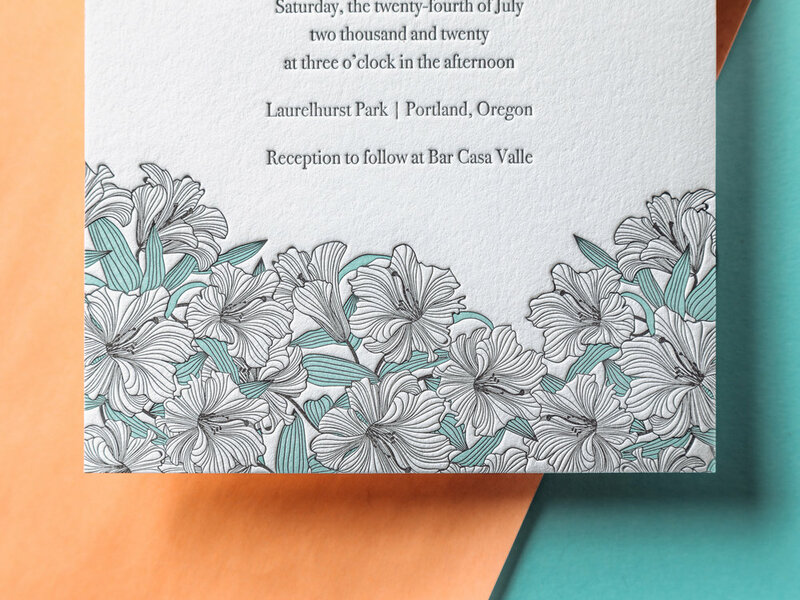 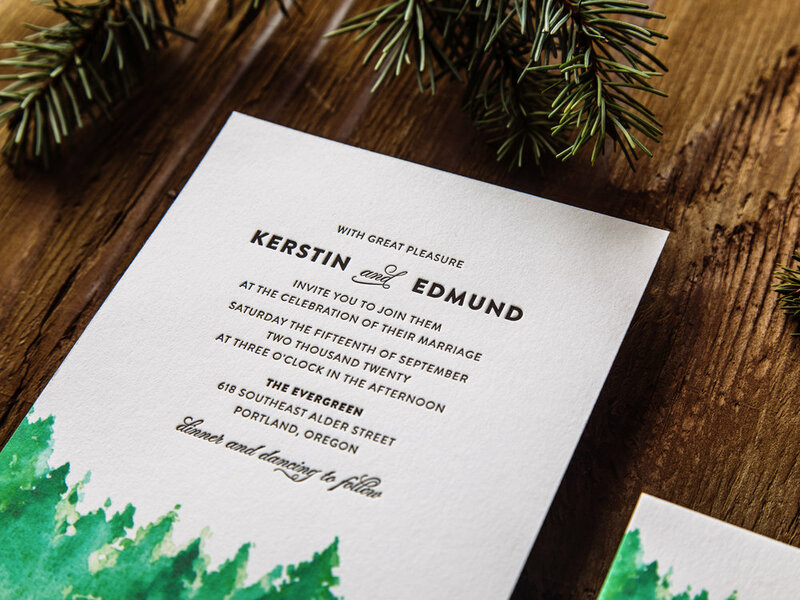 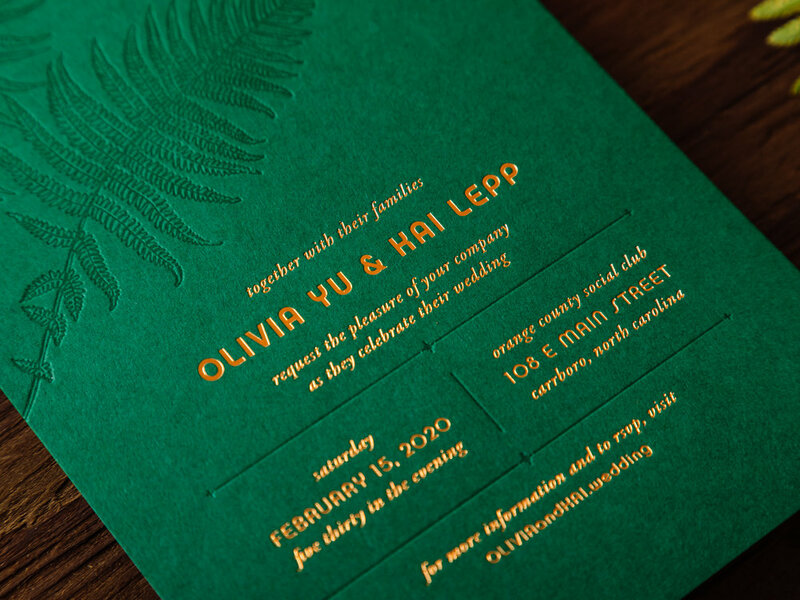 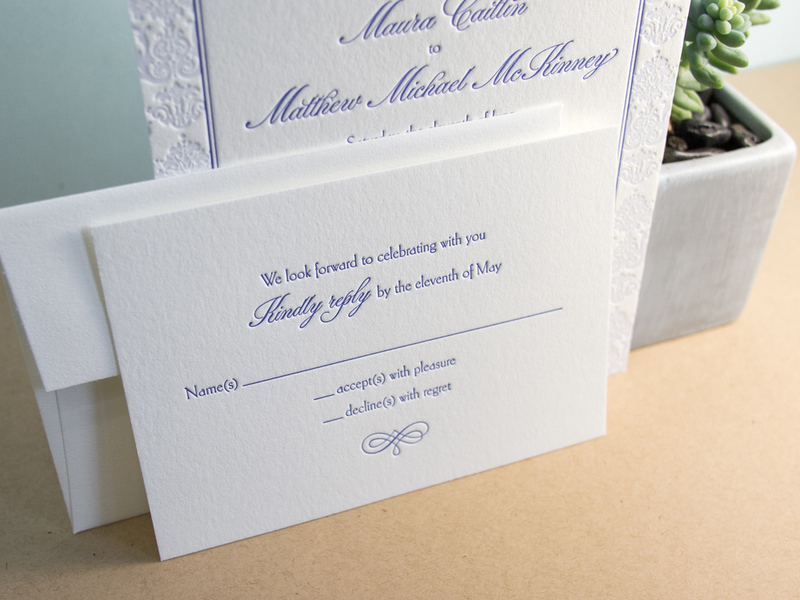 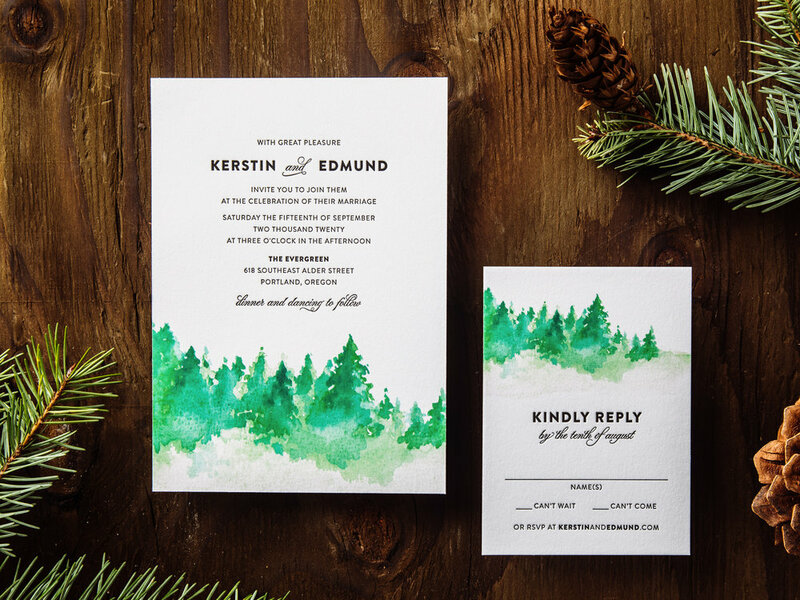 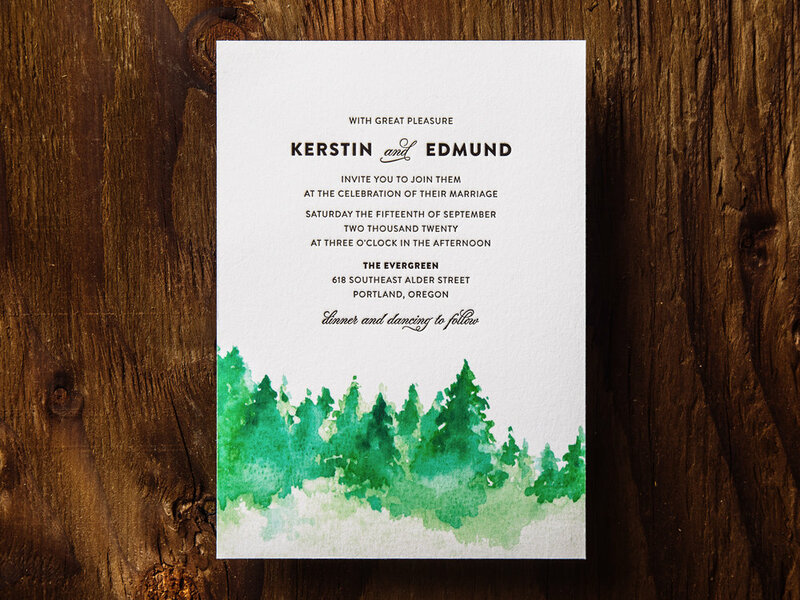 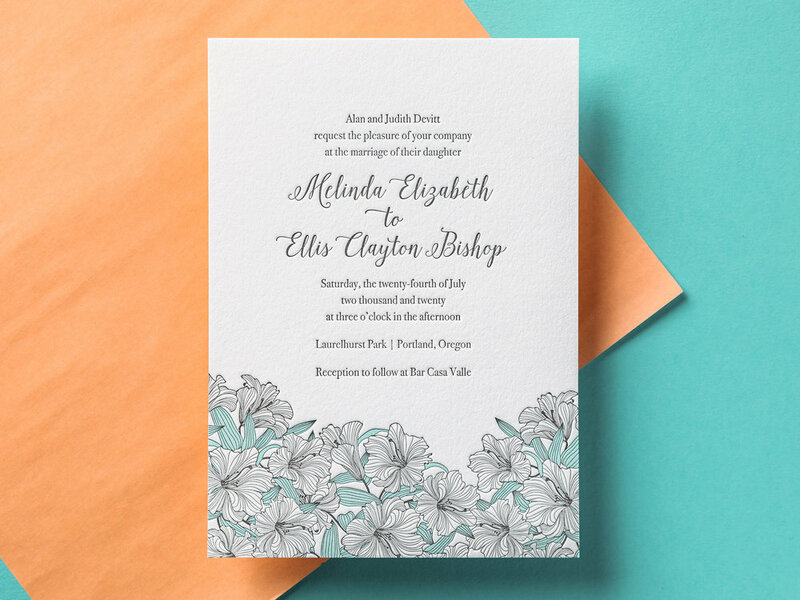 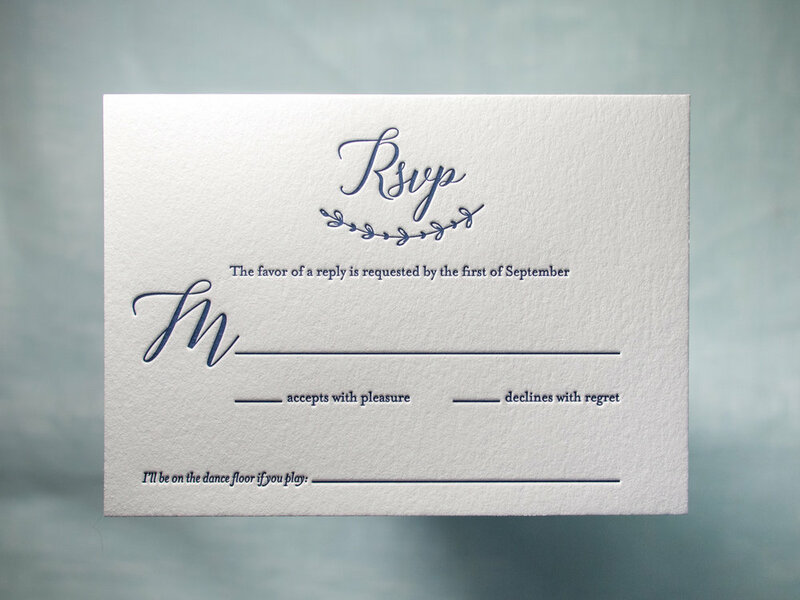 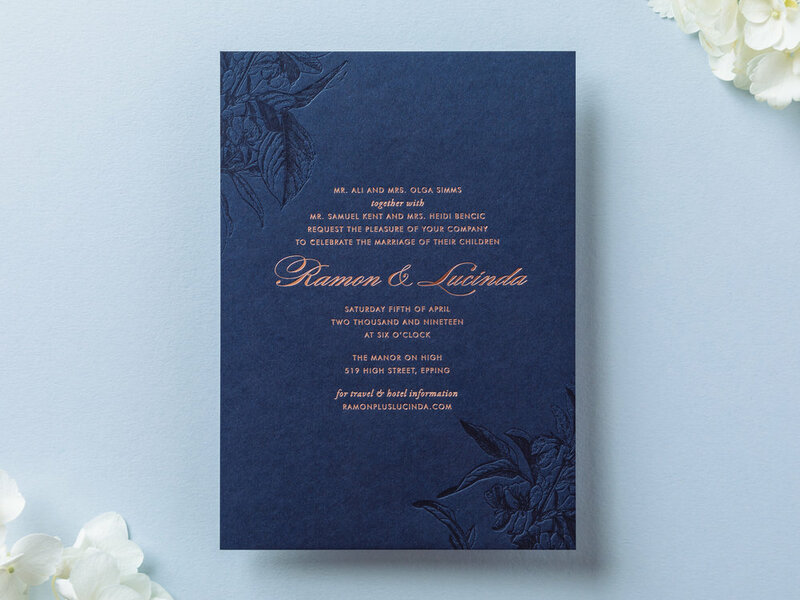 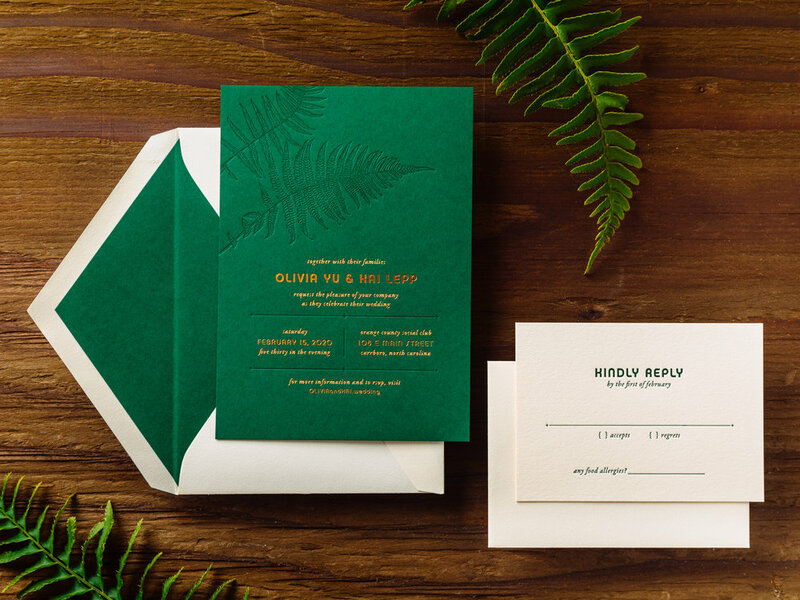 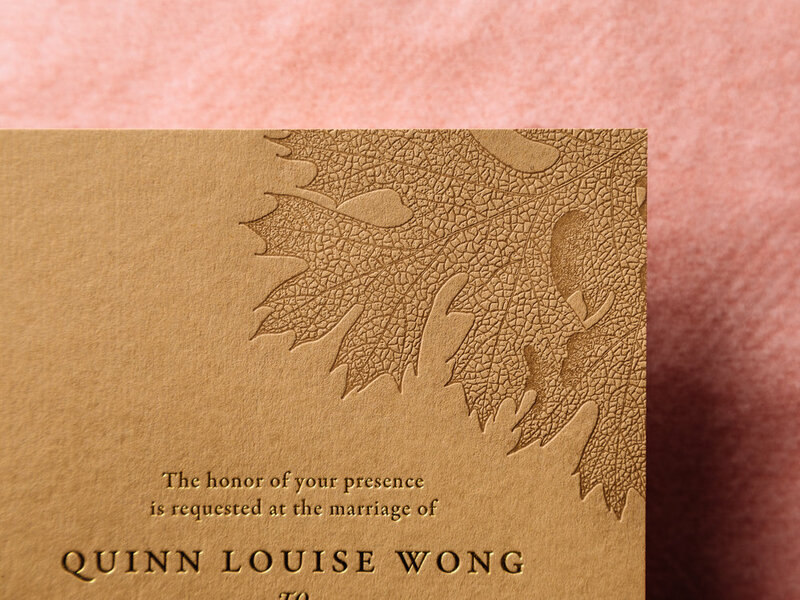 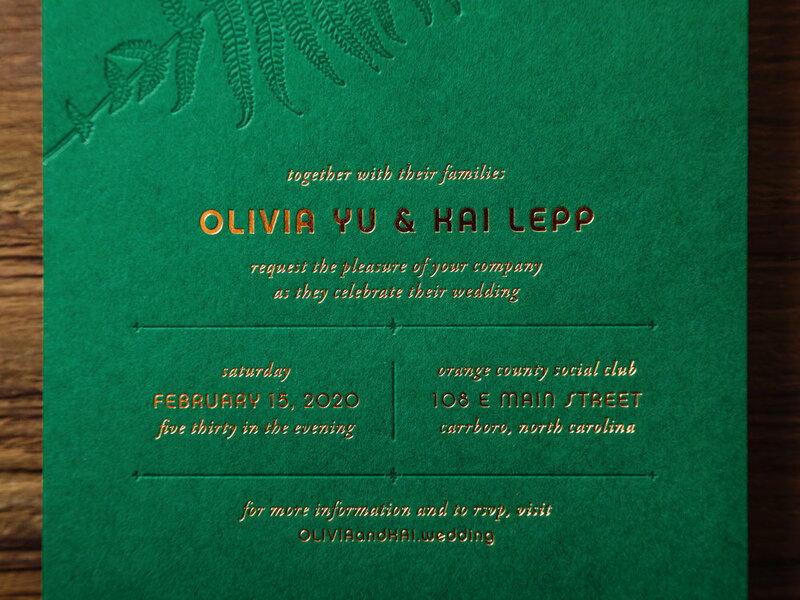 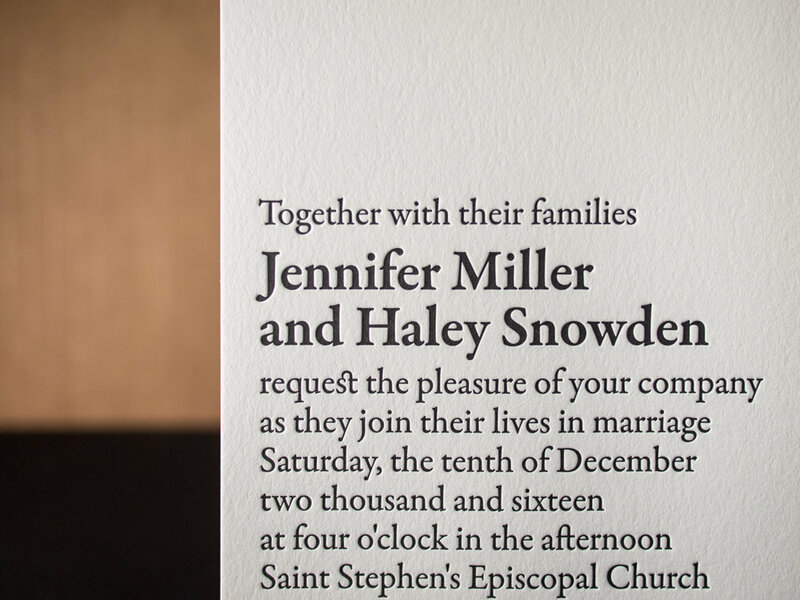 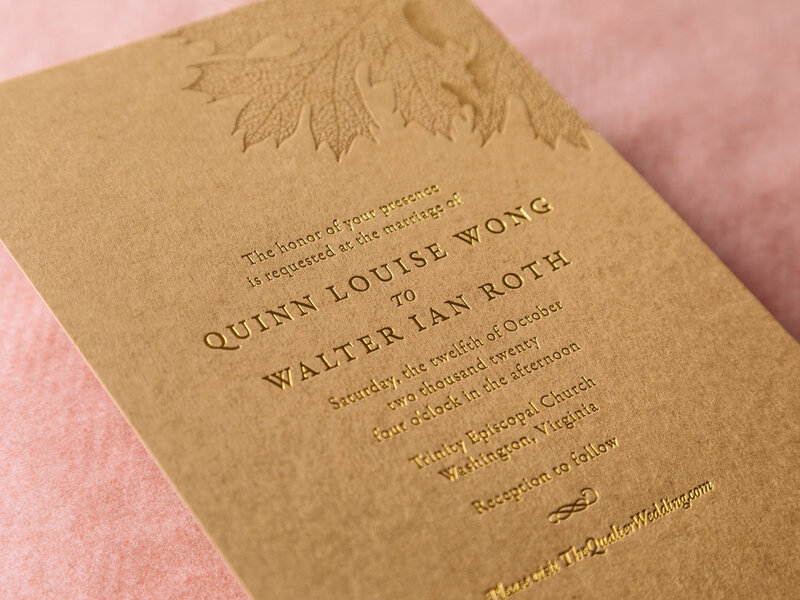 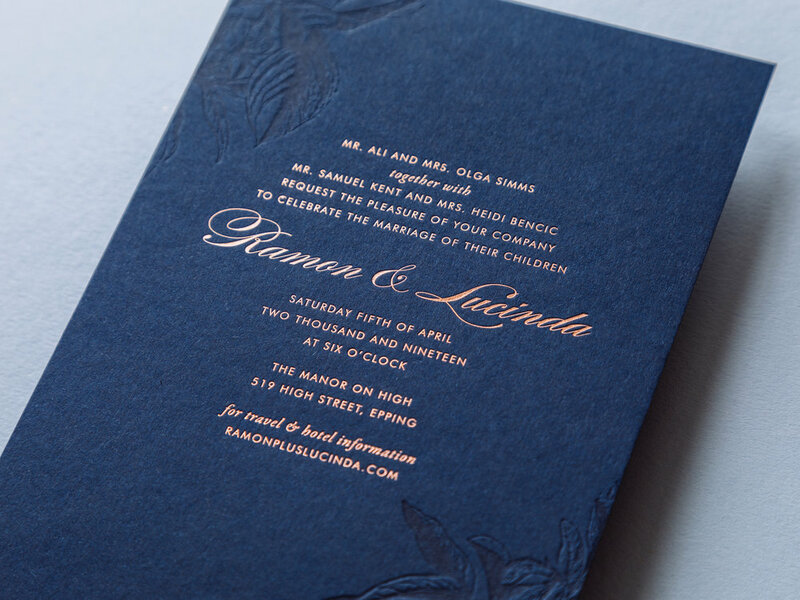 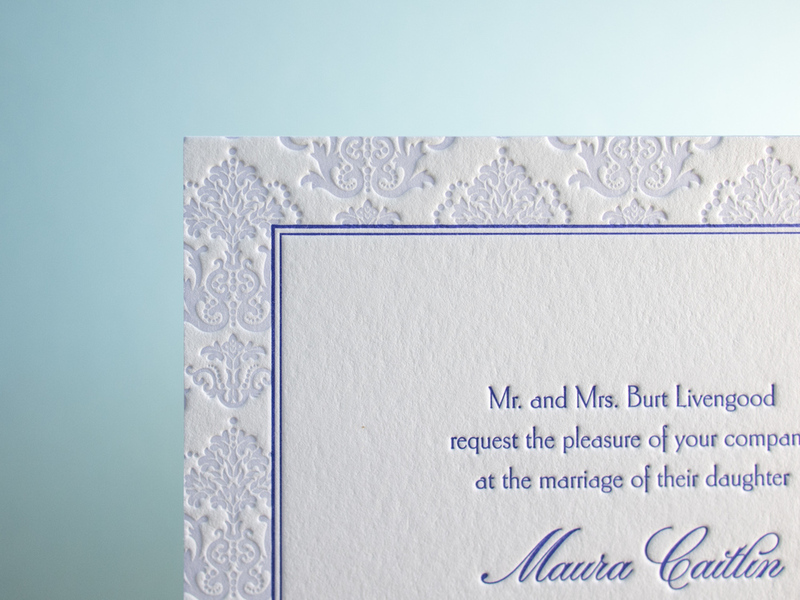 Simple but spectacular one-color invitations designed by the bride, Jessica, and printed by us. 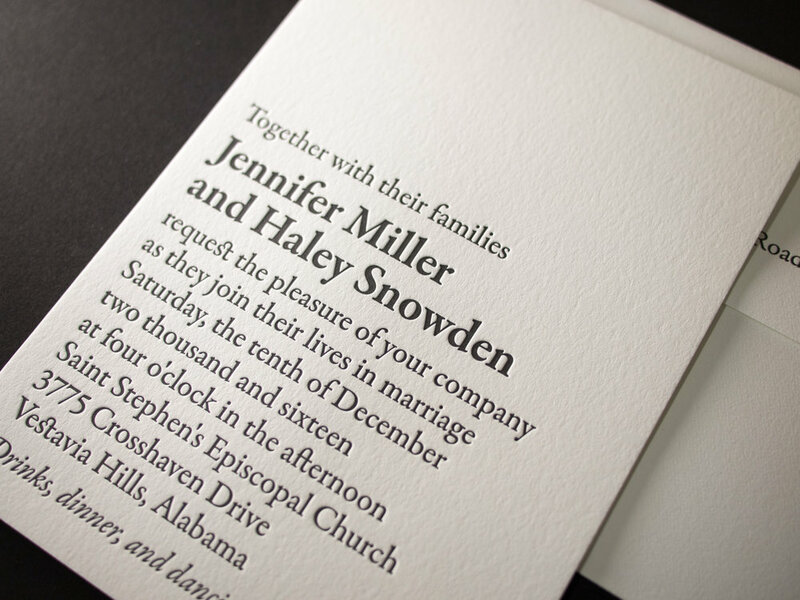 Posted in wedding invitations and tagged with client designed, midnight, pearl white, reply card, 300g, 600g. 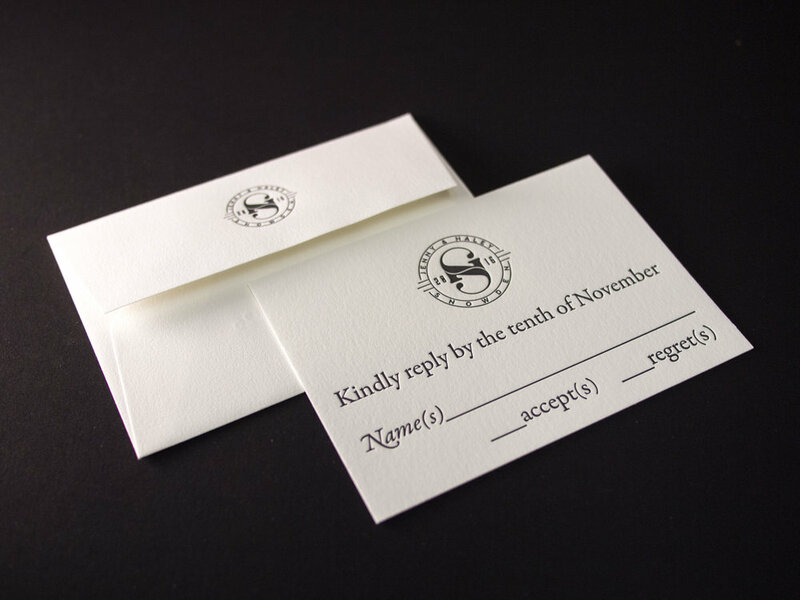 November 29, 2016 by Travis Friedrich.